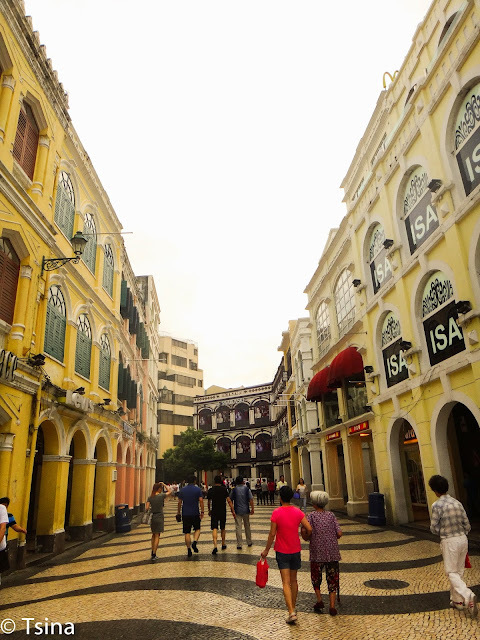 It was raining on our second day, and we were a bit hesitant to go in Macau. But decided to explore Macau anyway. We went early at Macau Ferry Terminal, and paid HK$159 on the economy class. Good thing, when we reached Macau, it wasn't raining. There are free casino shuttles outside of the terminal, and we rode one of them. We were dropped by in the casino, and we walked going to Senado Square (Largo de Senado). 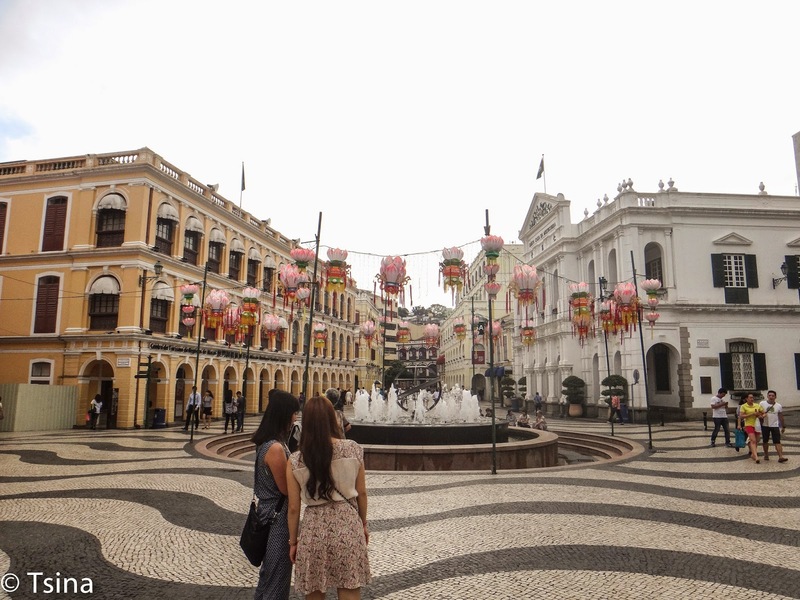 This is a central piazza in Macau. 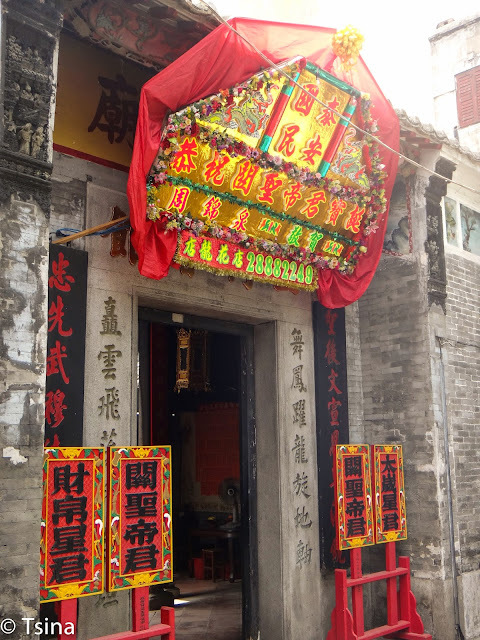 We started our walk from here going to the other spots that are included in the Historic Centre of Macau, a part of the UNESCO World Heritage List. We found the St. Dominic Church, the oldest church in Macau. 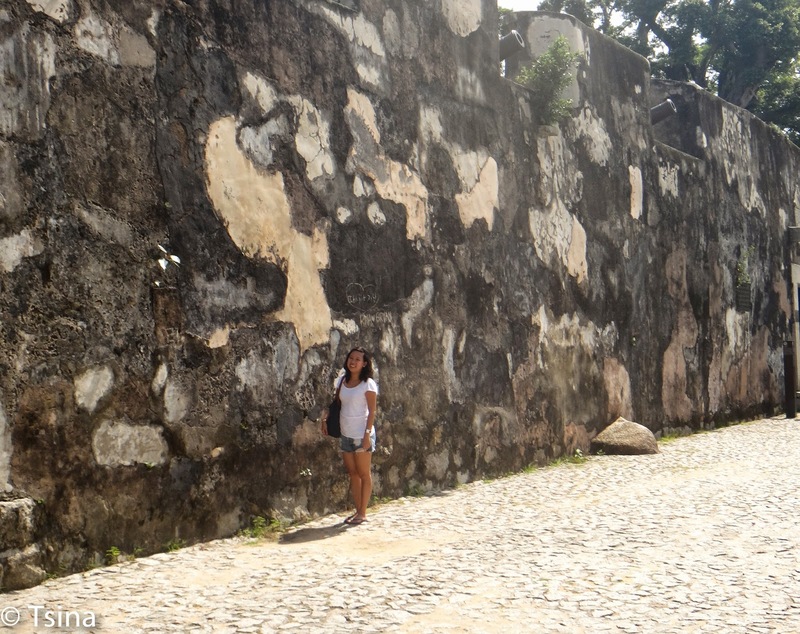 We decided to walk a bit more to visit the Ruins of St Paul. The church was destroyed in 1835 during a fire. We also visited the Fortress Armourial Gate and the section of the old city walls, which are only around the area. 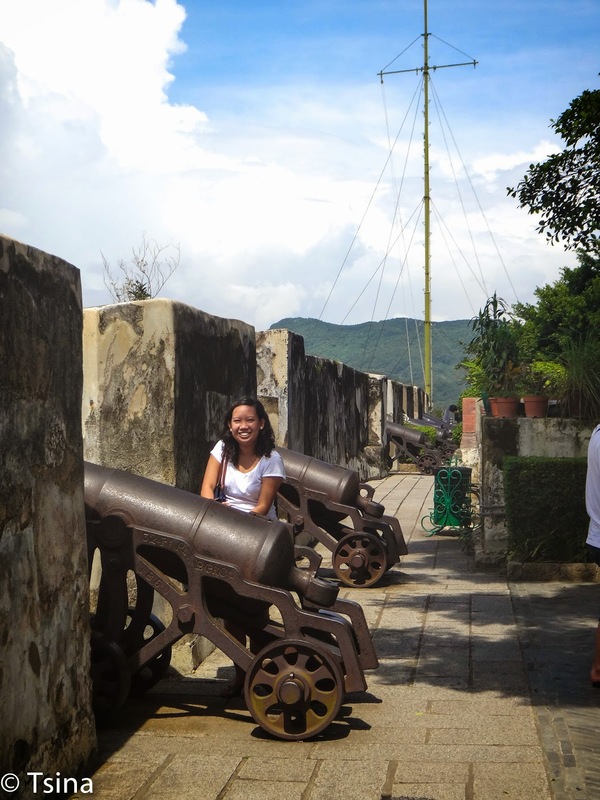 This is a 16th-century fort; and we were able to see lots of cannons. When we were going back the Senado Square, we passed by the Sam Kai Vui Kun Temple, which literally means "a community hall for three streets". 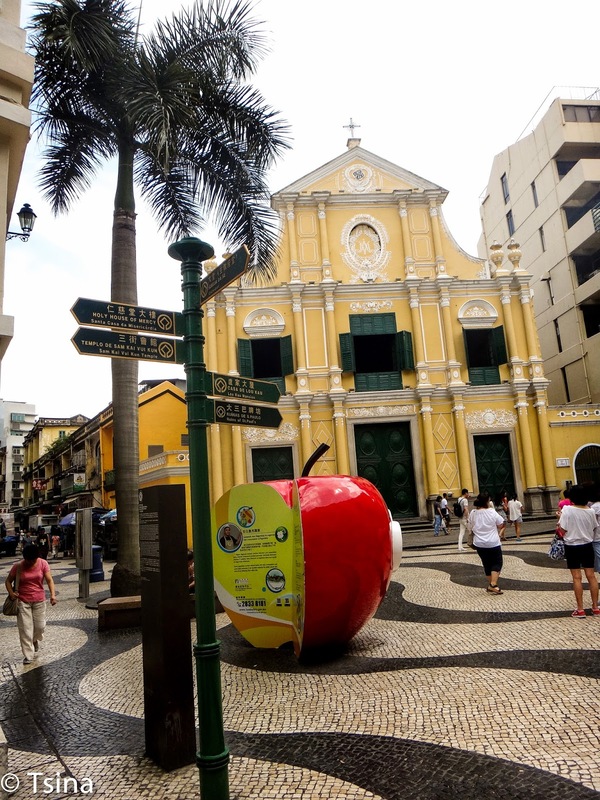 The Historic Centre of Macau is an interesting place to visit. 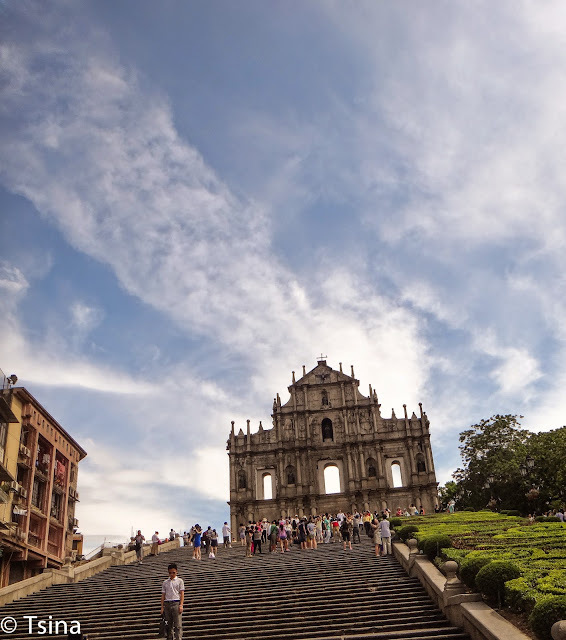 When in Macau, make sure to do a walking tour. You can include the other places of interest from the list such as Casa Garden and Guia Fortress!